This has been a project that started with some conversations with Disney close to a year and half ago. The door was wide open, they wanted us to do something different, something, fun… something Poketo… that’s easy. But, the initial challenge for us was choosing which of their characters to tackle. Disney is arguably the biggest global brand out there, with movies, television, apparel, theme parks around the world, and nearly everything and anything for your life… it’s the happiest place on earth. There is so much goodness, we were overwhelmed when we stepped onto their Glendale campus. Mickey and Minnie by far are their most iconic. But, there are also the old classics like Bambi, Sleeping Beauty… and even more current offerings, for example, all of the Marvel characters… and now, just recently announced, the Star Wars collection! Whoa. 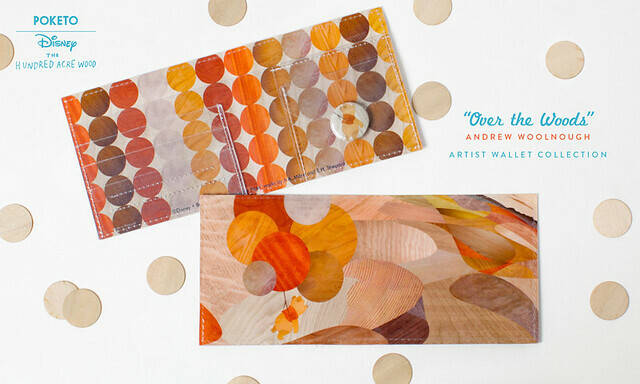 Over and over, as we were digging through their archives, Pooh kept re-emerging. We kept looking at the whimsical sketches of Pooh, absolutely loving the vintage drawings, being captured by the old black and white sketches and their classic, simple qualities. Pooh bear is about adventure, friendship,fun, innocence, nature… everything that both Angie and I love and that is so much Poketo. Unlike the many contemporary versions of Mickey and Minnie (ie, street Mickey), there really is no brand that has really touched Winnie The Pooh. 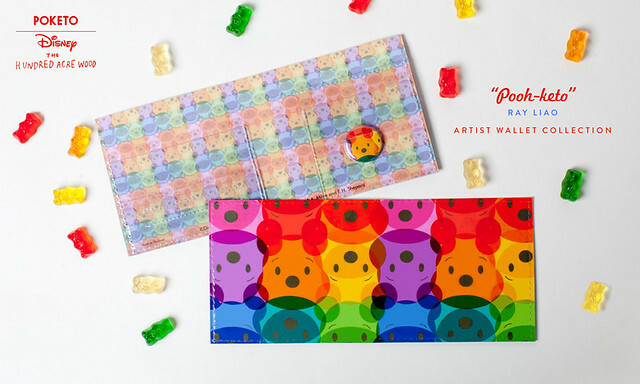 So, we decided, lets do it, lets tackle Pooh and put an art twist to it… lets keep it fun, adventurous, colorful, playful… everything that Pooh is, but, in a new way. 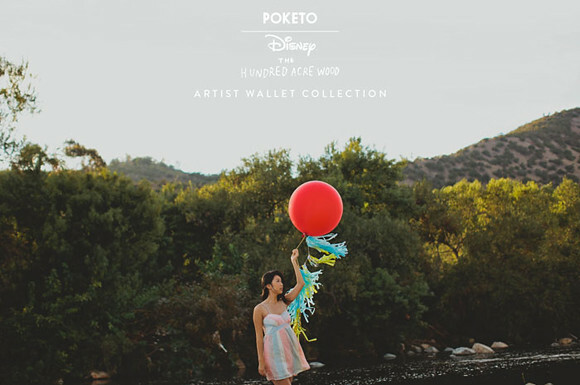 Introducing Poketo x Disney’s Winnie The Pooh The Hundred Acre Wood collection. 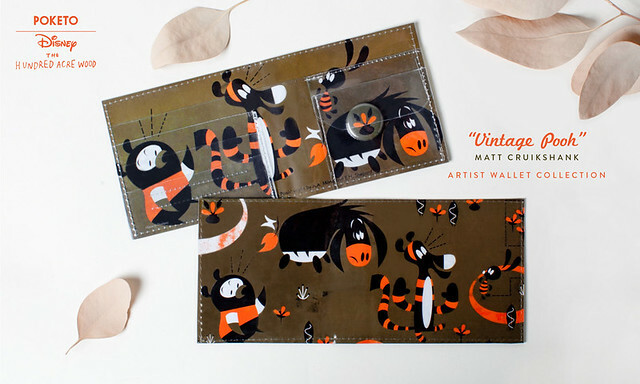 A series of 5 wallets by artists from Poketo and The Disney Creative Team, all limited edition to only 100 per design! 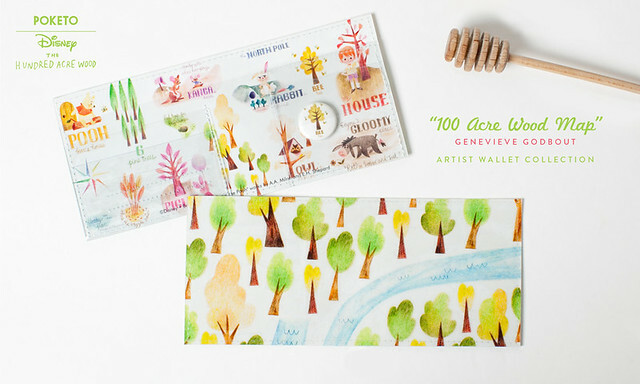 The Disney team knows Pooh through and through, but, what we asked of them was to think outside of the box, to imagine Pooh, Piglet, Eeyore, and Tigger as they have never been seen before… and to put their own personal touches to them. 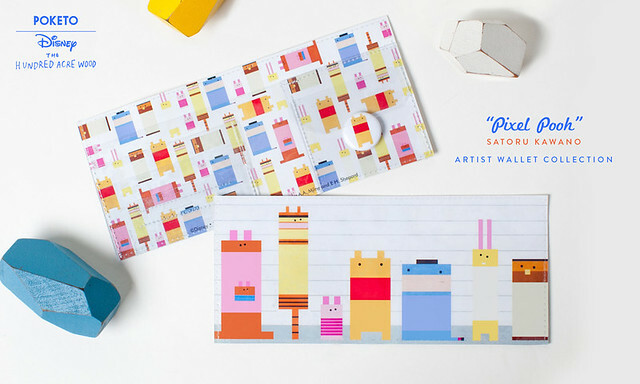 The Hundred Acre Woods… Winnie The Pooh… The Poketo way.